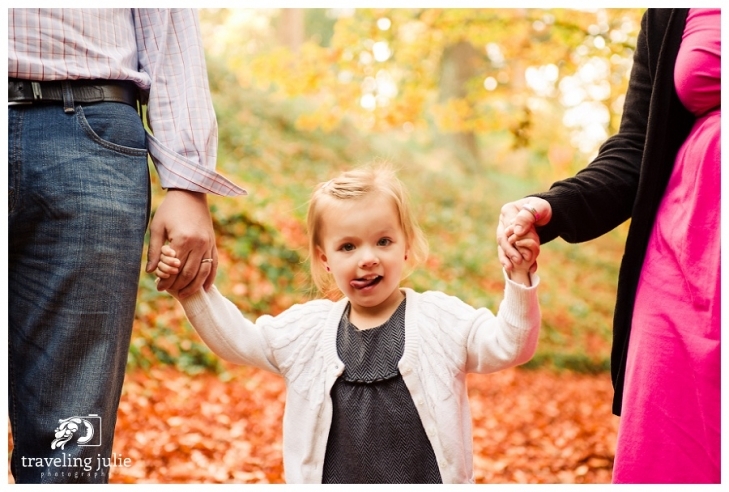 Tara and her family do a family portrait session every November–so I was honored that they chose me for their 2013 family photos! I met Tara, Jim, and their daughter Eriana at the Hoyt Arboretum, which is part of Washington Park in Southwest Portland (just up the hill from the Children’s Museum). As you can see, there was plenty of beautiful autumn foliage for us as the backdrop. We spent our session walking a little loop trail behind the main visitor’s center, but there are twelve miles of trails throughout the park–most of them featuring a specific type of tree or plant (the Maple Loop must have been incredible!) I will definitely be returning there to explore in different seasons, with a lot more time to wander, and a map–it looks like you could walk for days! 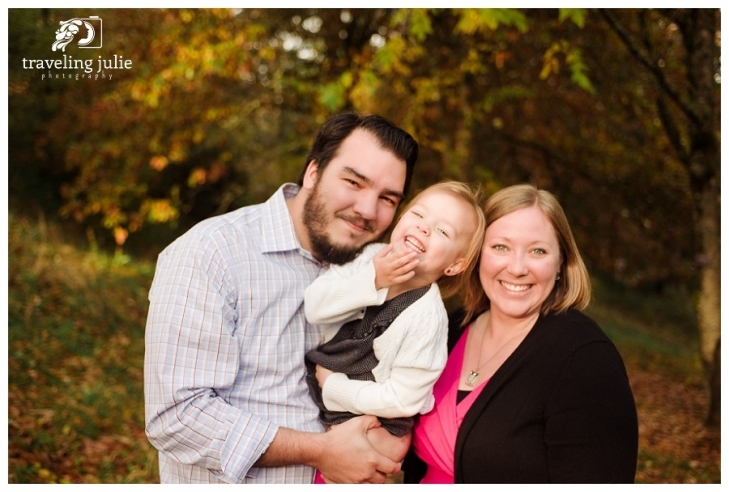 Tara and Jim are down-to-earth, friendly people who clearly love each other and their beautiful daughter. Lovely people, all of them, as you can see. 🙂 I had such a great time photographing this family! These pictures still make me smile. 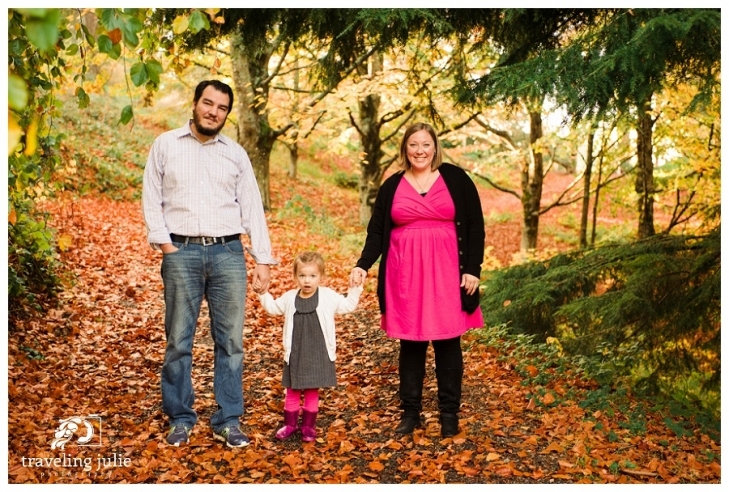 Thank you so much for allowing me to capture your beautiful family this autumn!